Entrepreneurship can be rewarding as you build a business you are passionate about. However, many small-business owners spend much of their focus on attracting new customers and increasing profits. Very few consider the tax requirements that come along with owning a small business. This can lead to a few common tax problems. Keeping detailed records of your profits and losses is important for a few reasons. Without a careful record of how much you have put into the business and how much the business has given back in profits, you can never truly know how well you are doing. Consistently taking a loss month after month can put you in significant financial trouble. Not keeping detailed records can also make tax filing very difficult. The IRS wants to know how much you have made, so they can tax you on that amount. Without an accurate amount, it is likely you are either underestimating or overestimating your taxes owed. Many financial experts recommend taking a portion of your earnings each week and putting it aside for taxes. The problem, however, is that there is no set amount you should put aside. Overestimating the amount you will owe can take valuable dollars from your business. Underestimating the amount you will owe can leave you negative, which can put you in a position of owing back taxes. Owing back taxes can really put a damper on your small business. It can make it impossible to reinvest into the success of your business. Additionally, while you are paying it off, the owed amount is still collecting interest and late fees. It is important to get a hold on back taxes as soon as possible. A tax professional can help you better understand your options, allowing you to take action before it spirals out of control. Taking Too Many Tax Deductions. Small-business owners have the ability to write off business expenses. Expenses such as office costs, marketing fees, and employee wages are deducted from the adjusted gross income. This reduces tax liability, so business owners do not have to pay taxes on money they never received. 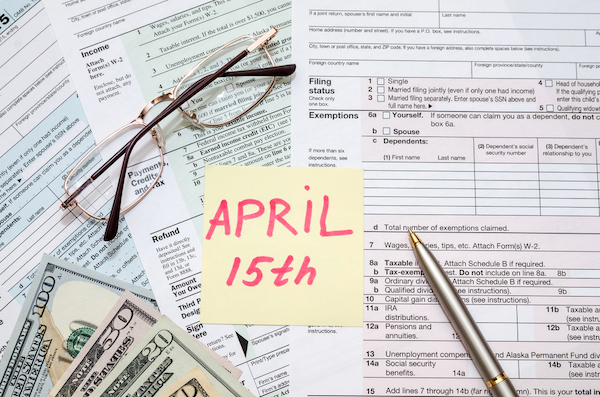 Come tax season, some small-business owners may be tempted to claim too many deductions in order to reduce their tax liability. While this might decrease the amount you owe, it can raise red flags with the IRS if the deductions are unrealistic. If the IRS implements an audit, even years later, you could end up owing back taxes. Not Taking Enough Tax Deductions. While you do not want to overvalue your tax deductions, you do want to take advantage of the ones you are eligible for. Failing to account for things such as the wages you paid your employees or the losses you took can force you to pay taxes on money you did not actually earn. You don’t have to be a tax professional to run a small business successfully. But by being aware of the most common tax mistakes small-business owners make, you can avoid putting your business, and your personal financial future, into trouble.